“Over the years, I have spent countless hours researching and studying the markets. Along with premium trade execution, I use my extensive knowledge of technical analysis to assist my clients in developing their own trading strategies. I also publish two daily trading newsletters, Swing Trader’s Insight and Trade or Fade. Lastly, I write articles on trading that I think would be of value to my clients and to the trading public in general. A list of my educational writing can be found here. What is Swing Trader’s Insight? Swing Trader’s Insight (STI) is a daily email that offers powerful insights to help your trading. It is a group of pattern recognition algorithms, designed to give you a “roadmap” to the markets. How was Swing Trader’s Insight developed? I have spent years studying the works of many traders such as Linda Raschke, Larry Connors, and George Douglas Taylor and have distilled what I have learned down to the Swing Trader’s Insight. STI is invaluable for novice to experienced traders. For the new trader, it is an effective educational tool, helping the new trader learn how to read charts and spot opportunities. 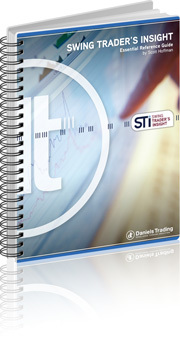 For the experienced trader, STI is a concise source of information to both spotlight potential trades and help time your entries and exits. What do you get with Swing Trader’s Insight? A nightly setup sheet that highlights setups for the following session, and gives times for reports and potentially market moving events for the following day. A morning “watch list” that highlights overnight developments and potential trades. Trade and trade management updates, giving specific entry and exit prices, and then managing trades once entered. Chart example and analysis emails, to illustrate trading concepts. 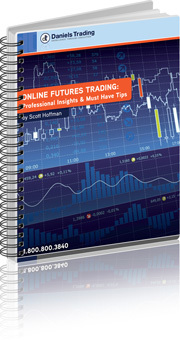 Improve your swing trading skills and become aware of trends and new potential opportunities in the futures markets with Scott’s guide to Swing Trading Futures. 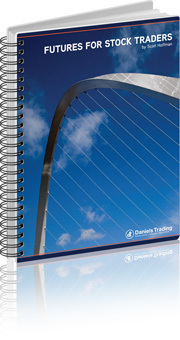 The Trade or Fade user’s guide is a concise reference to understanding the Trade or Fade methodologies. The ToF user’s guide will clearly show you the “hows and the whys” of breakout futures trading, in easy to understand language. Sign up for your free copy of the Trade or Fade guide and learn how you can begin to implement the simple but powerful trading methods. I’ve worked with hundreds of futures traders to help them find a platform that suits them best then helped them learn how to utilize a platform to give them the best odds for success. I hear the same questions over and over, so I wrote this guide to help online futures traders make the right choices. Whether you’re a novice to futures or a veteran trader, this guide contains information that all futures traders need to know. Learn how you can increase your odds of online trading success and avoid the pitfalls that doom unwary traders. Written for stock traders who want to learn about trading futures, this comprehensive guide will help you learn the basics of trading futures and commodities. Plus, you’ll get links and ideas for resources to learn more about these dynamic markets. Get this guide today to jumpstart your futures education. I’m dedicated to working with my clients to help them improve their trading results. This is my primary conduit for futures trading lessons and market analysis. You can see real time chart examples and analysis for implementing the trading methods I use for swing Trader’s Insight and Trade or Fade. I also write on other trade related topics I think can help you, and on occasion I’ll provide links to other writings of interest. I stick to what’s important; you won’t get stories about my dog or the weather. Visit the blog at www.futuresinsightblog.com and don’t forget to bookmark it! This mailing list will provide you with notification of new blog postings, upcoming webinars, and other special offers, all delivered to your email inbox. 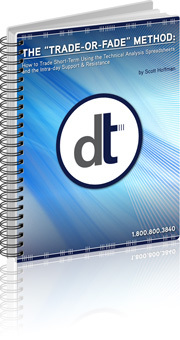 Sign up here for this mailing list for immediate notification of timely information to assist your trading.